Home News Pollard’s spying: How much harm? Pollard’s spying: How much harm? The arrest of Jonathan Pollard for spying for Israel touched off one of the most sensational spy cases in recent American history, stoking fierce international passions and decades of legal and diplomatic wrangling. Thirty years later, Pollard, 60, has been granted parole from his life sentence by the U.S. Parole Commission, which set his release for Nov. 21. In some ways the dispute continues. His lawyers say they will ask President Barack Obama for clemency and to allow Pollard to travel from the United States to Israel. The White House dismisses that prospect, saying Pollard had committed “very serious crimes” and would serve his sentence under the law. “We are looking forward to his release,” Israeli Prime Minister Benjamin Netanyahu said in a statement Tuesday. The Pollard case has been a divisive political flashpoint — and an occasional diplomatic bargaining chip — from the day in 1985 he was arrested while trying to gain asylum at the Israeli Embassy in Washington. Supporters have seen the former Navy intelligence analyst as a martyr who was punished excessively given that he spied for a longtime U.S. ally. But critics, including many in the U.S. government, have condemned the American as a traitor who exchanged secrets for money. Even as many American Jews have wrestled with how much leniency he should get, Israelis have long campaigned for his freedom. The government there has recognized him as an Israeli agent and granted him citizenship. Still, recent American presidents have rejected overtures to free him, with former President Bill Clinton writing in his memoir that Pollard’s release “was a hard case” to push. The U.S. had dangled the prospect of Pollard’s release during Israel-Palestinian talks last year, but the peace efforts collapsed and nothing came of the proposal. Though the decision was announced just weeks after the U.S.-Iran nuclear deal, White House officials strongly denied that Pollard’s release had anything to do with that agreement, or that was it was intended as a concession to Israel. Officials there have said that while they would welcome the release, it would not ease their opposition to the Iran agreement. The Justice Department, for its part, noted that federal sentencing rules in place at the time of Pollard’s prosecution entitled him to parole after 30 years of his life sentence. Department lawyers did not contest his parole bid, which was granted following a hearing this month before the Parole Commission. He was presumptively entitled to parole provided he had a record of good behavior in prison and was seen as unlikely to commit future crimes once released. His lawyers say they have secured housing and a job for Pollard in the New York area. Parolees are required for five years after their release to get government permission for foreign travel. “The president has no intention of altering the terms of Mr. Pollard’s parole,” said Alistair Baskey, a spokesman for the White House’s National Security Council. His supporters maintain that he provided information critical to Israel’s security interests at a time when the country was under threat from its Middle East neighbors. Prosecutors and many in the U.S. intelligence community say that his disclosure of voluminous classified documents constituted a criminal breach on par with that of America’s most infamous spies. The U.S. has said Pollard provided reams of sensitive and classified information to Israel, including details about radar-jamming techniques and the electronic capabilities of nations hostile to Israel, including Saudi Arabia. 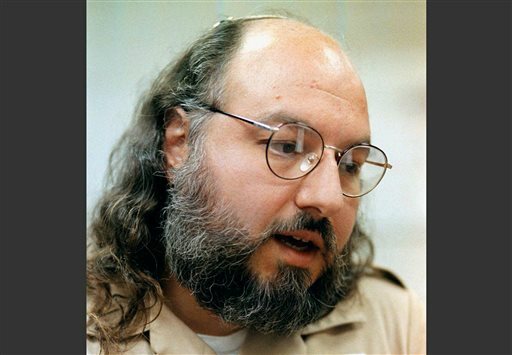 A court statement from then-Defense Secretary Caspar Weinberger said Pollard did “irrevocable” damage to the U.S. and had provided the Israelis with more than 800 U.S. classified publications and more than 1,000 classified messages and cables. Portions of the Weinberger document that have been declassified state that Pollard admitted passing to his Israeli contacts “an incredibly large quantity of classified documents” and that U.S. troops could be endangered because of the theft. “We are grateful and delighted that our client will be released soon,” said a statement from Pollard’s lawyers, Lauer and Jacques Semmelman. Associated Press writers Matthew Lee and Deb Riechmann in Washington and Ian Deitch in Jerusalem contributed to this report. Military secrets are always the most fleeting of all…. Israel always wants special treatment from the US…especially for its convicted spies. In the meantime, Israel inserts itself into American policy decisions and does its best to undermine the President of the US and his efforts to reach a deal with Iran on nuclear weapons. Israel and its supporters want the US to behave with the best interests of Israel in mind, not the best national interests of the US. Is it not time for the US to look out for its best interests first? In recruiting spies to pass US secrets to Israel, that country acts in the same manner as would an adversary/enemy country. And still Israel wants to be treated like its the greatest US ally. Please give me break…enough from this thorn in the side of the US. Soon, if we are not careful, Israel will drag us down into the depths of war.